Course Website: Official Website - Visit Aldarra Golf Club's official website by clicking on the link provided. 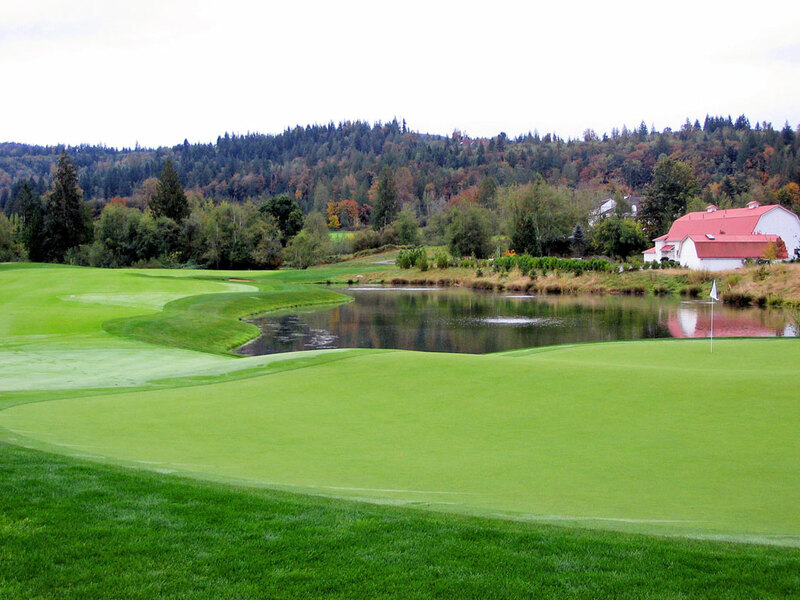 Accolades: Ranked 2nd in Washington on Golf Course Gurus' Best in State list. What to Expect: Tom Fazio states that no compromises were made while constructing The Members Club at Aldarra and it is readily apparent at this Pacific Northwest beauty. According to the club's mission statement, Aldarra seeks "To promote the game of golf and its rich history - while providing our strong membership and its guests with the best conditioned golf course and the best private golf club experience in the Northwest. We will accomplish this by maintaining a pleasing club environment through our commitment to a quality staff, friendly service, and superb facilities." Based on my experience at Aldarra, they are delivering on their promises perfectly. There are no residential developments and tee times are not required at this club that is totally focuesd on golf and the greatness of the game. 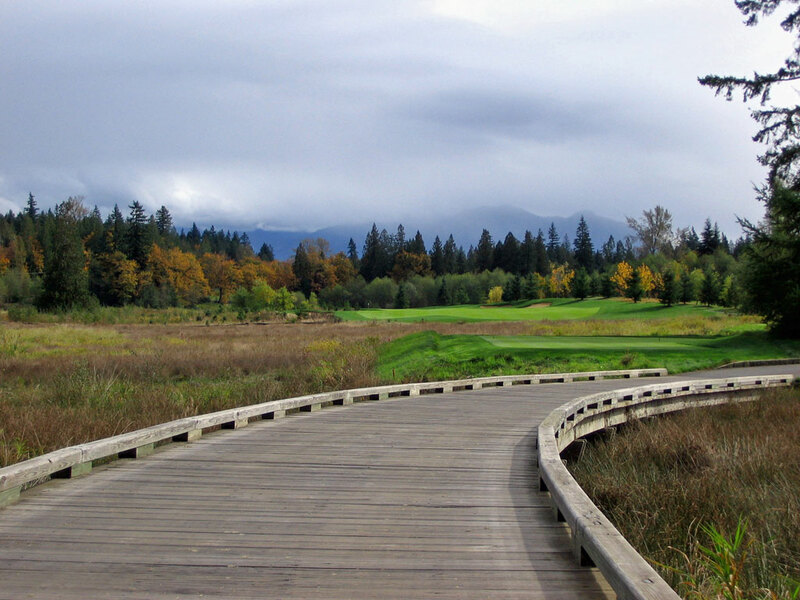 The golf course was built on the old Boeing family farm and features rolling terrain, mountain streams, and a variety of tree species that create a brillant array of colors in the fall. Aldarra is quickly becoming the most revered course in the Pacific Northwest and features some of Tom Fazio's best work to date. Signature Hole: 15th Hole – 234 Yard Par 3 – Aldarra's signature hole is a memorable par three that requires the golfer to "kick a field goal" through the two large pine trees standing just beyond the tee box. The green is slightly raised and causes extra havoc on this lengthy one-shotter where par is always a good score. 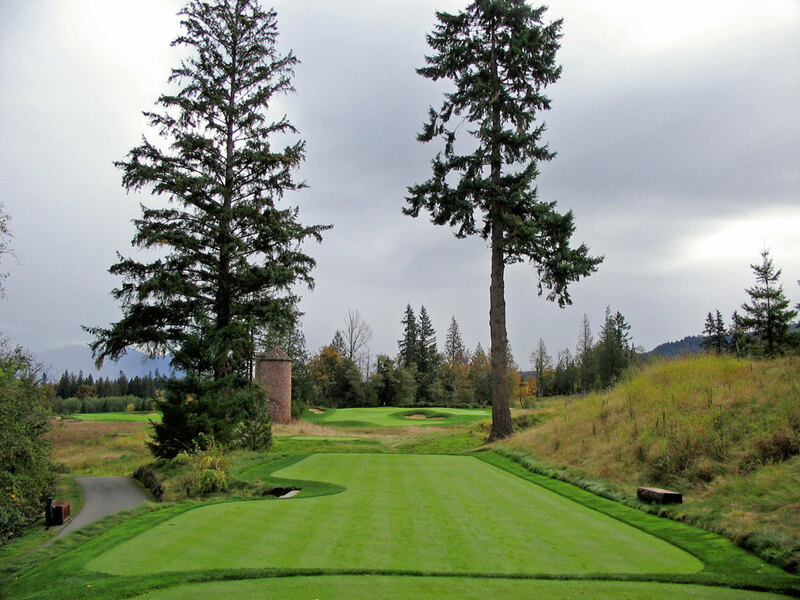 Best Par 3: 15th Hole – 234 Yards – The 15th hole is the start of "The Gauntlet" at Aldarra and is a challenging par three that is framed by a pair of tall trees and is signaturized by the a silo on the left. The two-tiered green is well protected in the front by a large, deep bunker and the severe slope on the green makes getting up-and-down from behind the green very difficult. 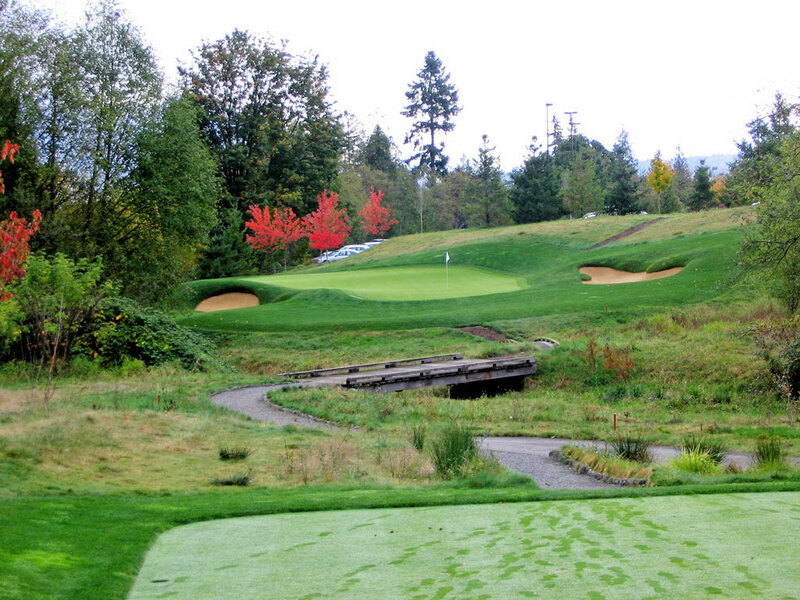 This hole is continually ranked among the best and most difficult par threes in the Seattle area. Best Par 4: 1st Hole – 438 Yards – The first hole at a course is rarely one of the best of the day, but at Aldarra there is an exception. This hole features stunning views of the fall colors in the background and is complimented by a large pond up the left side of the hole. The fairway slopes down towards the water hazard so it becomes critical to keep your tee shot and approach shots on the right side of the hole which will also steer you clear of the large snake-like bunker on the left side of the landing area. With relatively few water hazards on the course, this par four is a welcome start to the round. Best Par 5: 3rd Hole – 563 Yards – The number one handicap at Aldarra is this solid par five that features a stout carry off the tee to a fairway the slopes left to right. 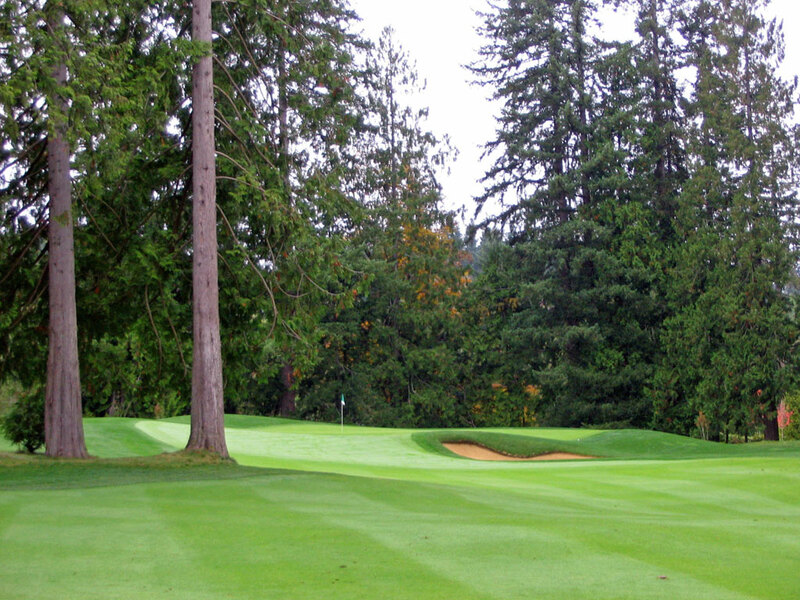 A cedar tree rests on the right side of the fairway about 100 yards from the green and creates some strategic elements. The most prudent play is to layup well short of the tree and short of the bunker on the left to ensure a decent look at attacking this green. Birdie Time: 9th Hole – 152 Yard Par – The shorter the approach, the better chance at birdie. That is a pretty logical conclusion and works in most cases; and Aldarra is no exception. With a perfect lie on the tee box and a mere 152 yards from the green, the par three 9th offers an excellent chance to hit the green in regulation and yield an opportunity to roll in a birdie putt. The hole features a creek midway through the hole and has a bunker on each side of the green. If the pin is in the back the slope of the green makes birdie much more difficult, but if the pin is in the front then it provides an excellent opportunity to go under par on this hole. 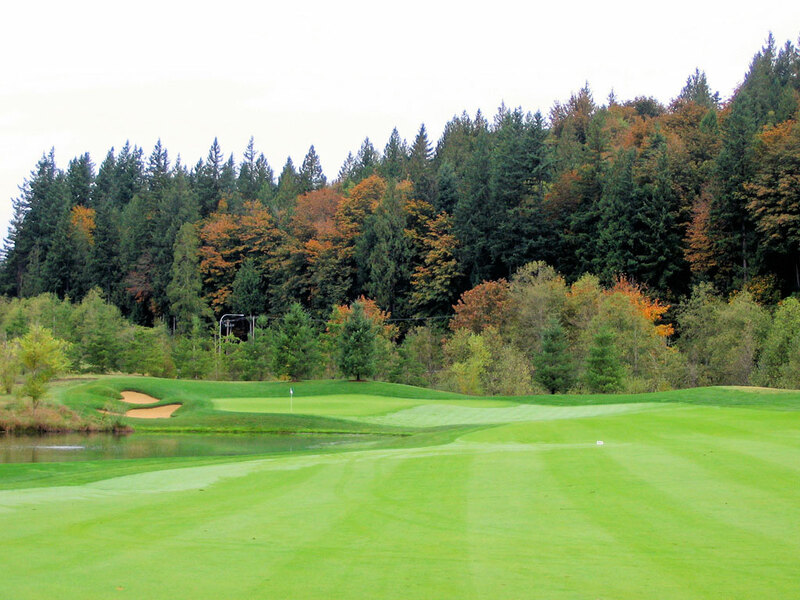 Bogey Beware: 16th Hole – 475 Yard Par – The 16th hole at Aldarra is just flat out tough. Playing 475 yards (at sea level mind you), it takes a pair of long shots to reach this green in regulation. The fairway features a long fairway bunker up the left side and a pair of smaller bunker further up the fairway on the right side. The front third of the green slopes back towards the fairway while the back two-thirds of the green slopes back away from the hole. If the pin is in the back it can be very difficult to hold this sloping green due to the length of approach shot that will be coming in. 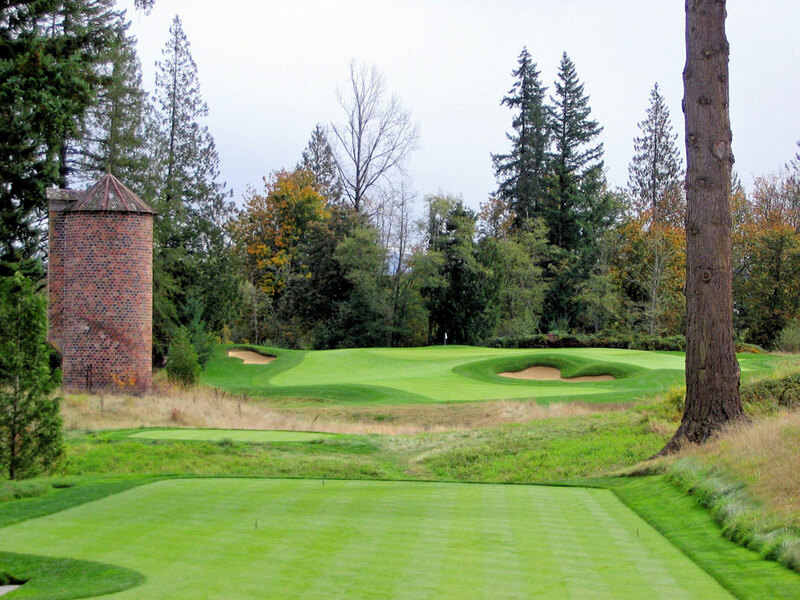 The 16th at Aldarra is simply one of the toughest holes in Seattle. The toughest tee shot of the day is the big forced carry off the 5th tee where a large gorge must be flown over.